The visual arts play a huge role in the Maker Movement today, and all artists develop their own style and techniques over time. While some artists choose to draw or paint images, plenty of other artists choose to create with words through the calligraphy and hand lettering arts. However, these lettered arts are about a lot more than just beautiful handwriting; they're careful design skills that require the right practice and materials to master. But even then, they're becoming massively popular in the creative industry. In this post, we'll explore the modern calligraphy and hand lettering trends that makers are using to personalize their communications and much more. Calligraphy is generally defined as the design and execution of ink lettering with a broad tip instrument, like a brush or nib. By controlling the amount of pressure on the instrument while writing, calligraphers make lines thicker or thinner to create stylized script. The practice of calligraphy dates back to ancient world traditions and Latin, Roman, and Anglo-Saxon texts. Some beginners choose to buy these materials in a kit that includes detailed directions to help them get started in the craft. 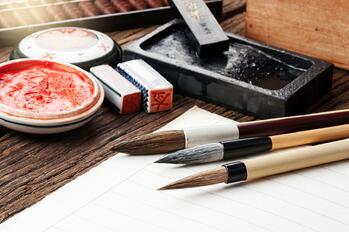 Others may attend calligraphy courses and buy materials based on instructor or peer recommendations. Finally, some self-taught calligraphers may even reach for non-traditional tools, like any selection of markers, pens, or pencils for their calligraphy practice. The distinction between calligraphy and hand lettering can differ according to various definitions. While the two crafts are certainly similar, dealing with stylized hand writing and letters, hand lettering generally refers to creating careful fonts with a marker or pen. Some think of calligraphy are a more free-flowing style that uses some form of brush or nib with differing pressure for control. Hand lettering fonts may be more bold and stark than calligraphy fonts. However, some use the terms interchangeably, and perhaps the distinction can generally be left up to the way artists choose to categorize their own work. 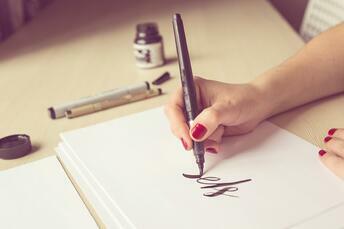 But why are calligraphy and hand lettering so popular today? On one hand, handwritten designs have become a huge part of modern craft and stationary aesthetics. 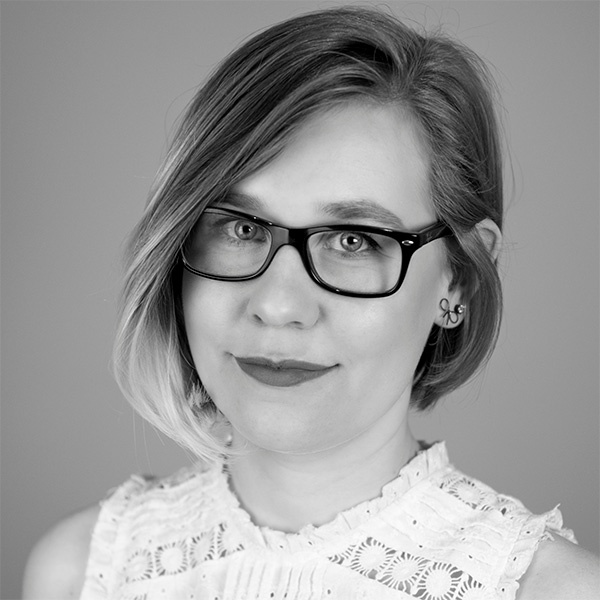 Their minimal yet quirky style has become strongly connected with the creative arts, especially on platforms like personal blogs, Etsy shops, and Instagram. Beyond that, however, calligraphy and hand lettering are a practical craft in many ways, too. They can be useful skills for paper crafters, stationary designers, and even graphic artists to incorporate in their projects. 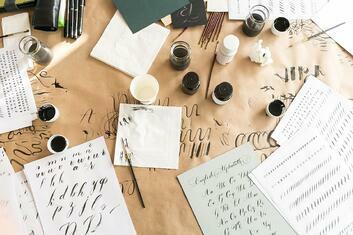 You've seen calligraphy everywhere, from wedding invitations to chalkboard menus at restaurants. Overall, the personalized touch of hand lettering is a huge driver behind this craft trend. Bouncy, cursive fonts: By far, the most popular calligraphy fonts are the curly, bubbly cursives you find on Instagram. Whether they're writing place cards or inspirational quotes, calligraphers can't get enough of this style of writing. Lettering on objects instead of paper: While some prefer to write only on special calligraphy papers, lettering arts can be used to decorate all kinds of household objects, like mugs, flower pots, or other ceramics. Embossing: To add dimension and luxury to calligraphy, some makers use embossing pens and powders to create raised designs on a variety of surfaces. Ombre colors: Another stylistic trend we see growing in the segment is the use of colorful inks and the blending of color gradients in an ombre fashion over the design. As this trend caught on in other industries, from hairstyling to interior decorating, calligraphers embraced it as well. Digital calligraphy: Finally, some calligraphers are embracing the opportunity to draw letters digitally using iPads, tablets, and other touch screen technologies. The ability to recolor, resize, and otherwise manipulate lettering designs presents new applications for calligraphy in the digital sphere. In many ways, calligraphy is an ancient art that makers have repurposed for modern use. Not only are books and sacred texts being adorned with beautiful lettering, but these hand written pieces of art can be found anywhere from art prints and journals to tattoos and websites. Designing the letters is just the very first step when it comes to calligraphy and hand lettering. While working with ink and brushes is an incredibly relaxing and rewarding art, there's no limit to how a custom alphabet can be turned into much more.